Chia is the edible seed of Salvia hispanica that originated from the Southwest United States and Mexico. According to Wikipedia, Chia seeds contain 6% water, 42% carbohydrates, 16% protein, and 31% fat. The fats in chia seeds are highly unsaturated. Chia seeds are rich in omega-3 fatty acids and vitamin B.
Chia seeds are also rich in dietary minerals like calcium, magnesium, iron, zinc, phosphorus, carbohydrates, proteins, antioxidants and manganese. Chia seeds are different because unlike other seeds like flax seeds, the body is able to absorb them in their seed form. Chia seeds come in 3 different colors, white, dark brown or black. When buying chia seeds, avoid buying the red ones as they are immature so you have to get a good brand to ensure that you are getting full benefits from them. Chia seeds have no taste and that is why it is recommended to add them to different foods just to flavor them, although some people like to add them to their water just to help them feel full. They are a good replacement for eggs, especially for vegetarians. Chia seeds slow down digestion and therefore are said to with type 2 diabetes and also prevent the spike in sugar levels. Chia seeds are rich in calcium, manganese, and phosphorus which this helps with teeth and bone strength. They are a great source of proteins and have no cholesterol which makes them a good alternative for vegetarians. Chia seeds also help to improve heart health as it increases the level of healthy cholesterol in your body and the fibers help to lower LDL cholesterol. Helps to boost brain health because of the omega 3 fatty acids. Chia seeds help to improve digestive health as they are a good source of fibers. Chia seeds are also good detoxing since they are high in fiber and aid digestion, they help with bowel movement which is good for the body daily as you get to excrete toxins out of the body. Disadvantages or side effects of chia seeds. Like any food out there too much of anything is bad and even though chia seeds are healthy there are factors to consider and to watch out for. Chia seeds absorb water up to 27 times of their weight. Chia seeds should not be given to babies and people with swallowing problems. I read a story about a man that swallowed chia seeds then chased them with water immediately which made it hard for him to swallow anything until he went to get medical help. To prevent health risks of chia seeds, it’s better to maintain a balanced diet and mix them with different foods as opposed to consuming them alone. Chia seeds are said to help with weight loss because they expand in the stomach, and this helps you feel fuller for longer and in the long run help you lose weight. 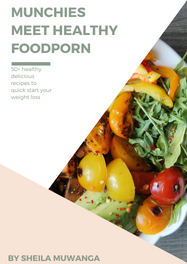 However this alone is not going to help you lose weight, It is just one of the things that will aid weight loss together with everything else, maintaining a generally clean diet at least 80% of the time and staying active. Also, foods that are high in fiber tend to be good for digestion and low in calories which in turn aids weight loss. This explains why some people add chia seeds to their water and not use them in only food recipes. Chia seeds also help to fight belly fat as it fights insulin resistance however like I mentioned above too much of anything is bad so in the long run, it might be bad for you so consume sparingly.